Earlier this week, Kelsi tweeted about some cute new shoes she bought. 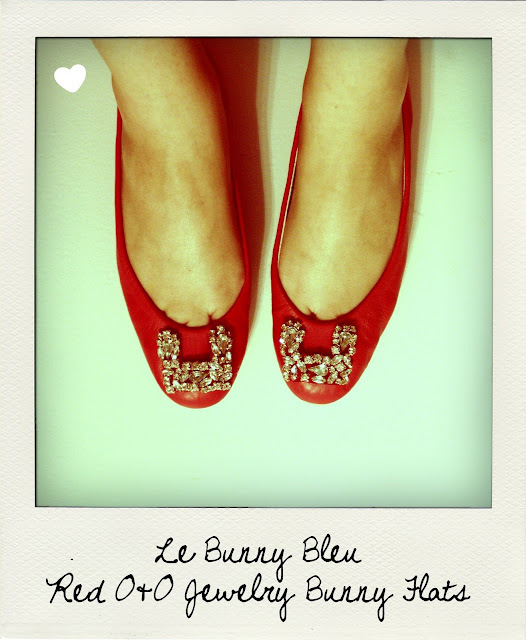 Ohhh Le Bunny Bleu, how did I not know about you? I've been looking for comfortable, colorful, and cute flats to wear with my neutral colored outfits at work (shoes are a bit of a free-for-all, so long as I'm not wearing anything casual, like sneakers or flip-flops), and Le Bunny Bleu seemed to be the perfect option! 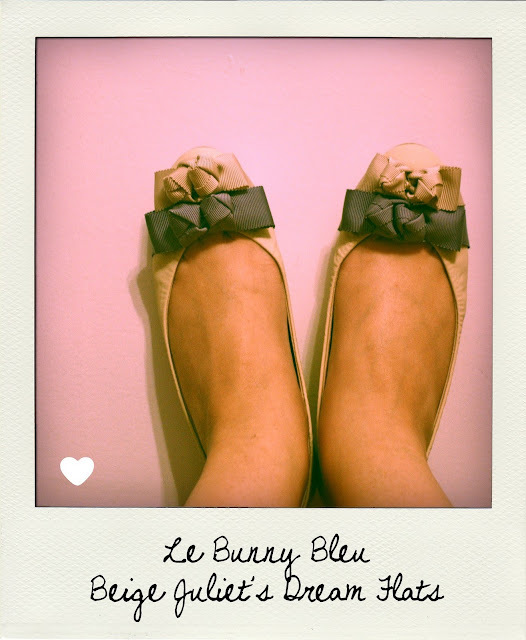 Le Bunny Bleu specializes in quirky, romantic, vintage-inspired flats. 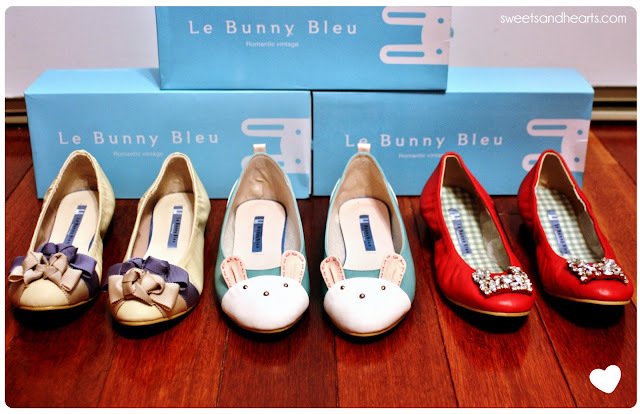 I liked that they had synthetic and real leather options in a wide range of colors and styles. They're cushioned and have thick soles, so they seem like they'll hold up for a long time (which is great, because I'm on my feet all day!). Each pair came in a sky blue box, with a dust bag and small packet of...oil blotting papers for your face? Okay, weird but cool. I needed those anyway, I guess. Only thing to watch out for: sizing is a little inconsistent, so pay plenty attention to the descriptions! Most styles run a little small. If you're between sizes, you might want to size up (I'm usually between 7.5 and 8, and got them in 8. One fit fine, but two were a little snug, but still wearable). No, I didn't spend $148 on shoes. They actually have this awesome promo right now where if you buy at least two pairs, you get 50% off your entire order (+ free shipping in the US)! I also got a 25% off rebate (not sure how long it will last, but they do have weekly specials going on right now).